𝑪𝒆𝒍𝒆𝒃𝒓𝒂𝒕𝒆 𝒕𝒉𝒆 𝒍𝒂𝒖𝒏𝒄𝒉 𝒐𝒇 𝒐𝒖𝒓 𝒃𝒓𝒂𝒏𝒅-𝒏𝒆𝒘 𝒅𝒊𝒔𝒉 𝑬𝒃𝒊 𝑼𝒅𝒐𝒏 during this festive season! GREAT PRIZES to be won! So, hurry up and get in the competition! Follow these 5 easy steps below to start now! -There will be ten  winners. 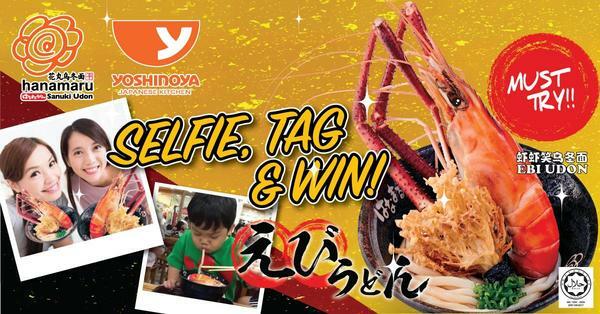 -The prize are RM30 voucher.